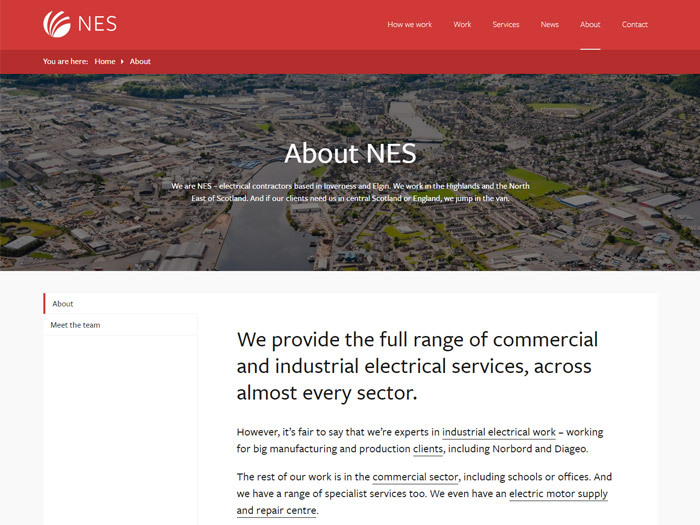 The site was designed to showcase the services and work done by NES (North Electrical Services). 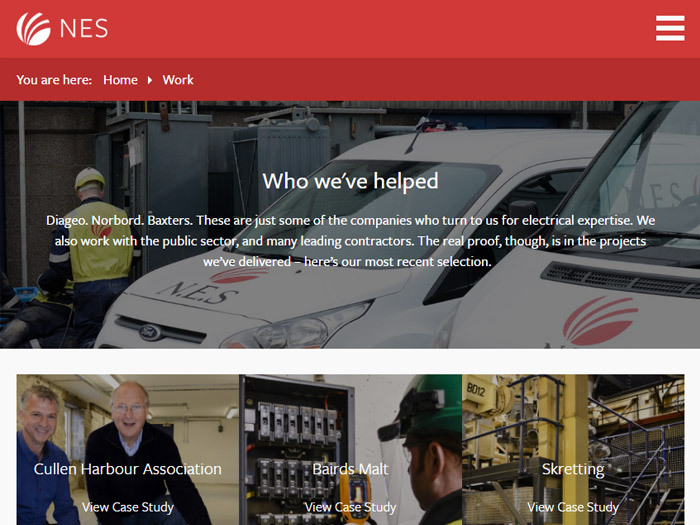 The design makes use of full width images and blocks of colour to make this content site really stand out. 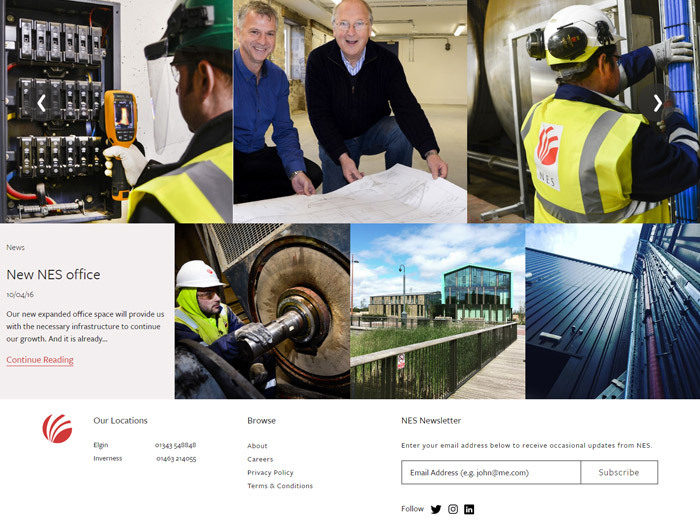 Our job was to redesign their current site to give it more of a modern feel while allowing them to update it easily with new news and case studies. I was responsible for coding the front and back-end of the site including a way for the client to add customer logos, case studies and new posts. The site was coded responsive first with media queries used to change the layout as the view port got bigger. I implemented a lazy load on the case studies, customers and blog posts to allow the site's content to expand without effecting the sites load time.